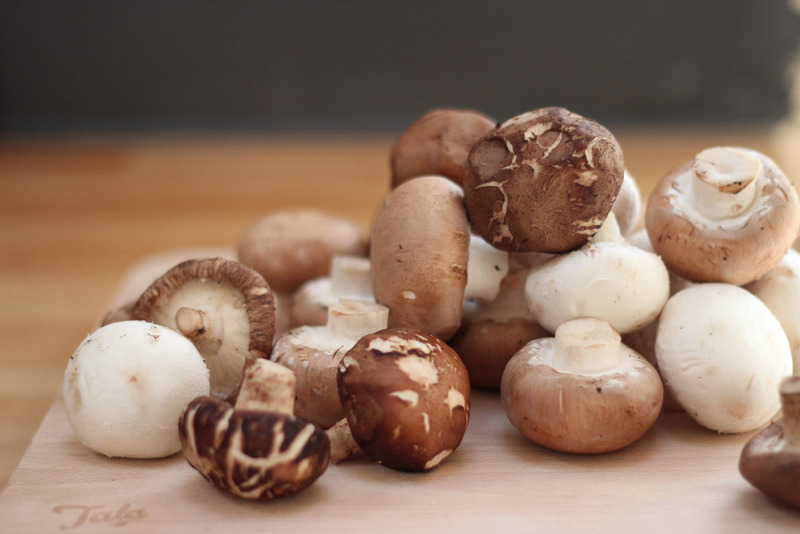 Now, I love mushrooms and always have done – earthy and woody, rich and meaty, they’re an ingredient I couldn’t be without. And while many folks feel the same, many dislike them too. If like me you love them but you know someone who doesn’t – cook this for them and see if you can change their mind. It’s worked for me several times and helping convert someone to something feels rather satisfying/smug (delete as appropriate). I picked up this recipe when I moved out of home for the first time. I was 17 and sharing with a number of boys in a rather dodgy part of town (parties were our main focus, living a respectable lifestyle was not). Matt, one of the boys had worked in a couple of kitchens in town and one morning when I set about frying mushrooms in butter he gave me a tip. “Poach them in milk” he said. I was skeptical, it didn’t sound like a match made in heaven but trusting him I went with it. He was right on the money and I’ve cooked them in milk ever since, be it for mushrooms at breakfast or mushrooms for a mid week dinner. It’s a beautifully simple way to cook the little mushroom. You fry them in foaming butter until they’re browned and begin to ‘squeak’, then to add lots of black pepper and enough full fat milk to cover them, and turn the heat to its lowest and let them poach uncovered very gently for around 20-30 minutes, only salting them at the end of cooking. 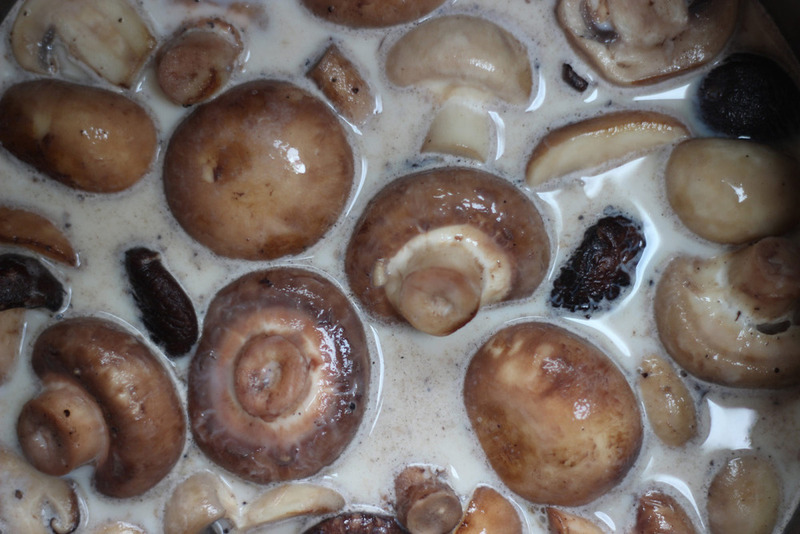 The milk reduces down and creates a very creamy sauce around the mushrooms, keeping them rich and nutty tasting and very juicy – beautiful on toasted sourdough or even a crisp potato rosti. You can keep it really simple using regular white or chestnut mushrooms, or use a mixture of mushroom varieties for even greater flavour like I have here. And they’re tasty just on their own or finished with other flavours - parsley, tarragon, English mustard or garlic are all great additions. In a deep saucepan heat the butter on a high heat until it foams, then add the mushrooms, stir them every minute or so until they become nutty and brown on each side, this will take around 5 to 7 minutes. Add enough milk to just cover them and a lot of black pepper, then turn the heat on low and leave them uncovered to poach. Stir them every 5 to 10 minutes to make sure they don’t catch. Stir in the chopped tarragon and mustard and give a scrunch of sea salt – taste the seasoning to make sure you’re happy, then serve them on top of toasted sour dough.